Do you want to create Hotmail account but don’t know the process? Well, Hotmail account is the old day story. Now, Microsoft does not allow you to open an account on Hotmail platform directly, yet it is not like you cannot create the account on the platform. So, here we are guiding you how to create a Hotmail account in a simple and easy steps. To create an account on the Hotmail platform, open your desktop browser and type www.outlook.com. You can use any browser to open the account. 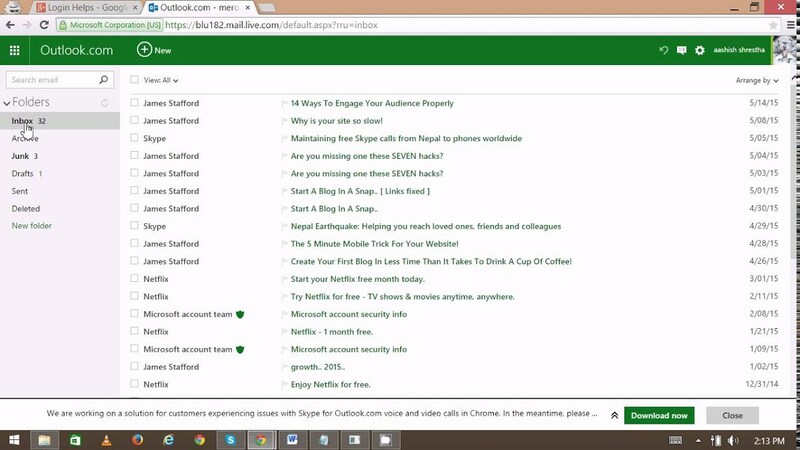 Now you must be wondering, why we are asking you to type outlook.com when you have to create the account on Hotmail platform. The answer for the same is both Hotmail and Outlook are the emailing platform of Microsoft. Hotmail is the old version of Outlook. Now, Outlook has taken over Hotmail completely. 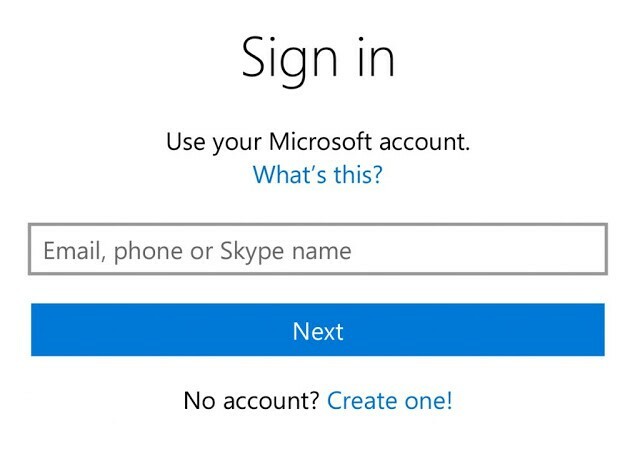 However, if a user wants to have an email account with Hotmail extension, Microsoft lets them make the account but with the same outlook platform. So, type www.outlook.com in your browser and open the outlook login page. Here, click on the button ‘Create account’. When you will click on the option ‘create account’, a fresh page will open with some blank where in you need to enter some details. The first blank in the row is your email address. 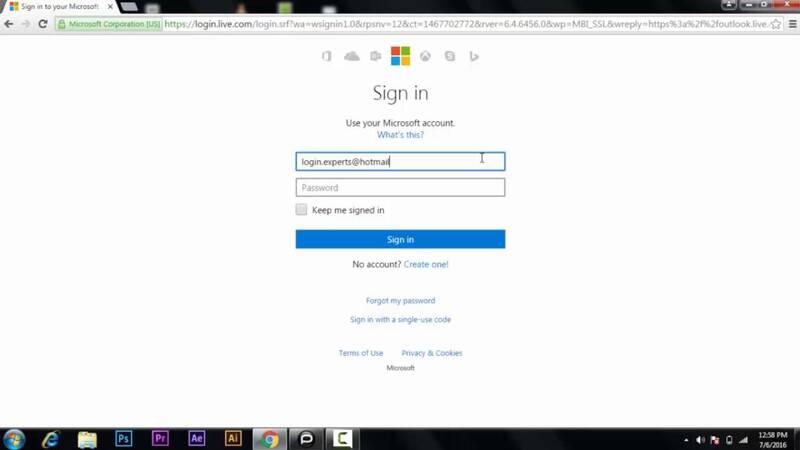 This is the email address that you want to create on the Hotmail platform. Enter the email ID of your choice and do not type the extension. The extension hotmail.com you can select from the dropdown button. The default option there is outlook.com, but you can select the hotmail.com extension by pressing the dropdown button and selecting options. It is present at the right end of the blank. For example, if you want to make email id that goes like abc@hotmail.com, then in the blanks you just need to type abc and then select the hotmail.com extension from the drop down. The process of creating email ID is little tricky and time taking, thus keep patience if you are unable to find the email ID of your choice. Try to be less creative with the options. Although, the platform gives you the options and help you in creating a unique user ID that is close to your choice, but you can try different combinations to get your personalized ID. The reason why it is a time taking process because, Hotmail also has numbers of users worldwide and they have already made account with different names and combinations. Do not keep your name as your password. Your date of birth or anniversary date. Your Pet’s name or hobby. The first letters of proverb that you use often. The password of your bank account. Once you have created your user id and password successfully, you need to tap on the next button. But, before tapping on the next button do not forget to check the box that says ‘Send me promotional emails from Microsoft’. By checking this box, you accept that you do not want to receive promotional emails from Microsoft. In case, you want to receive notifications and email from Microsoft regarding its services, leave the box unchecked and click on the next button. Now, you will be taken to the new page with some more blanks. On the next page there will be a blank where in you need to enter your first name and last name. After entering the detail, tap on the next button present at the bottom of the page. On the next page, you need to enter your location, which is your country name, your date of birth. For entering the date of birth a drop down buttons are present. Select the page using the dropdown buttons; do not try to type the details. Moreover, the Outlook pick up your location details directly as well. So, if you are finding your country name in the box default, then there is no requirement of changing it. After filling the details tap on the next button and a new page will appear. On this page, you need to enter your contact number. You can select the country code in the first blank from the drop down option and type your contact number in the second blank. Outlook takes this information from all users just to ensure that your account is secure and you can retrieve your account access is something went wrong like account is deleted accidentally or by the hackers or you forget your account details like your user name and password. Once you will enter your contact number, you have to press on the button ‘Send code’ and then press the next button. This is the verification code that outlook sends to users just to verify if you are the only one who is creating the account. So, keep your phone handy with you as the verification code remains active only for a short period of time. Once you have received the verification code, enter the code in the blank. The captcha options are also present on this page. If you are seeing this option anywhere in the page, enter it in the desired blank, do not give the step. You are unable to read the captcha properly; you can tap on the other captcha button to see the other characters. Moreover, you can press on the audio button to hear the letters and after listing it properly, type it in the blank. All the options are present on the page. The Outlook does this to ensure that account is created by human only. 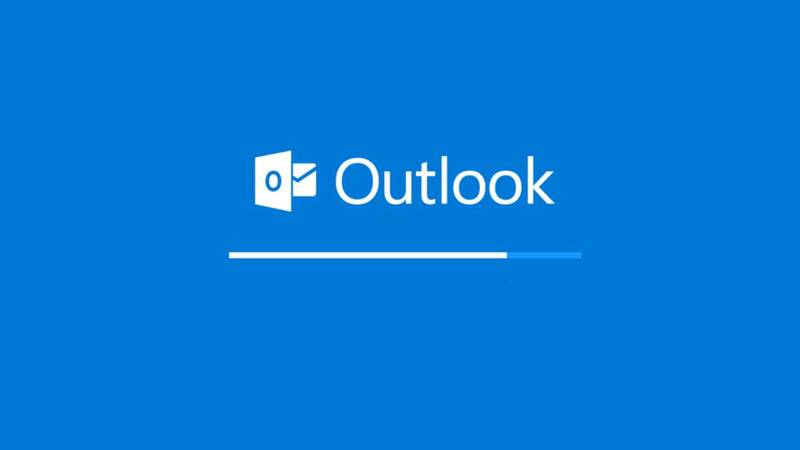 Now, click on the next button and you will get a notification from outlook that your Hotmail account is now created. 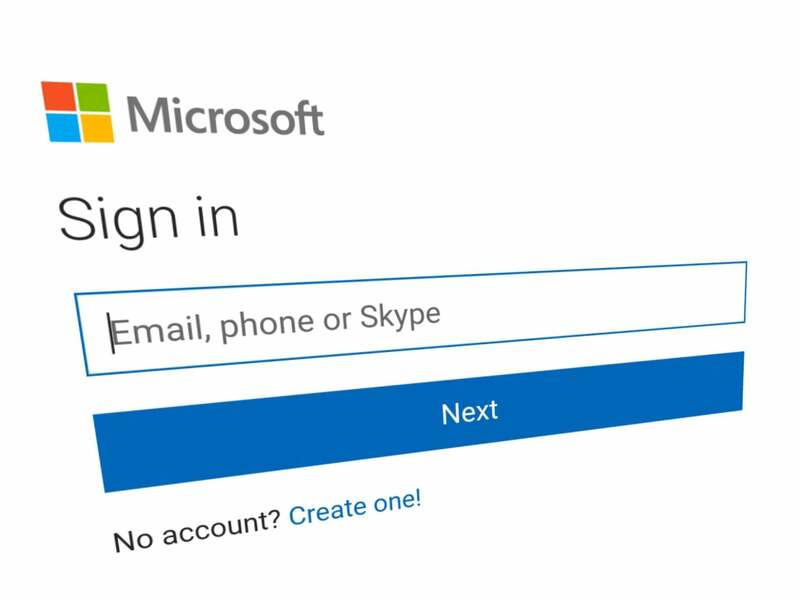 Open the login page of Hotmail in your browser again using the same URL that is www.outlook.com. Here, enter your email id and password you just created following the above step. Click on the next button and you will be taken to your Hotmail account inbox page. Hotmail account has many features that one can use to make work easier and managed. To know more about the features of Hotmail, you can read all the terms and conditions of Hotmail and at the same time take the help of internet as well. So, this is the guidance to create an account on desktop/laptop. If you want to create a Hotmail account on your mobile phone, then the step will be different. You can follow the same steps to create an account on mobile. However, if you have an account on Hotmail, you can configure it in your mobile easily without the need of creating it.